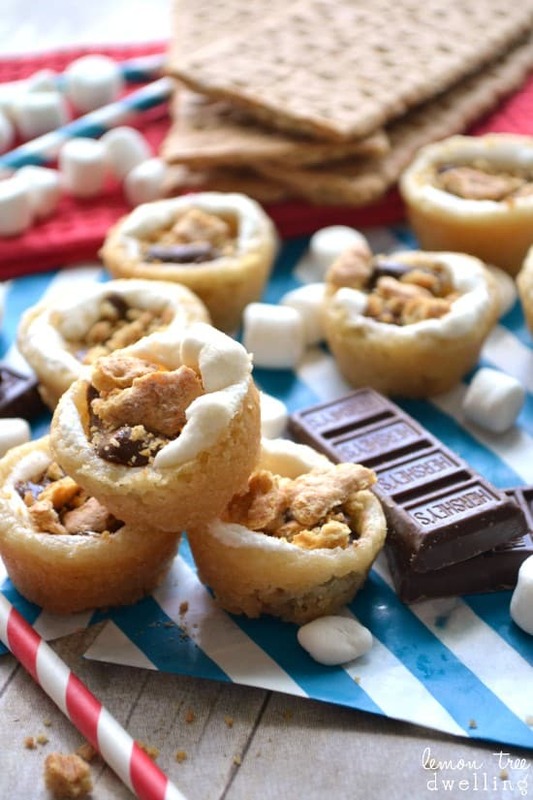 Sugar Cookie Cups filled with marshmallows, chocolate chunks, and graham cracker crumbles and toasted to perfection! So….Memorial Day is this weekend! How in the world did that happen!? Do you have any big plans? I think it is safe to say we will be laying low…. (either that, or having a baby)….but if it were any other year, you better believe we’d have plans! For one, we’d be heading to the parade. Which would most likely be followed by a cookout at our house with friends and/or family, along with a wish for warmer weather. After all, Memorial Day means the start of summer! There are so many things I love about summer, one of which (no surprise) is the food! Certain flavors just scream summer to me – lemonade, root beer floats, fresh strawberries, ice cream, and, of course, s’mores!! 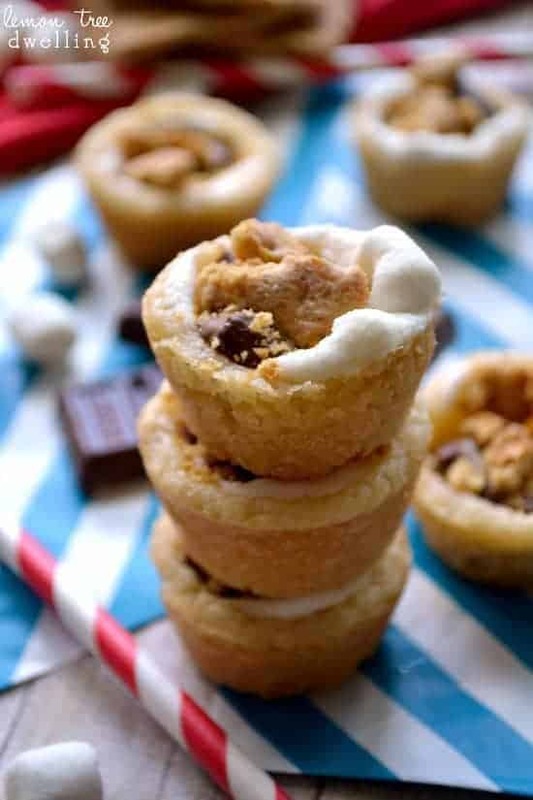 So what better way to kick off summer than with S’mores Cookie Cups? If we were having a cookout this weekend, these would be dessert. 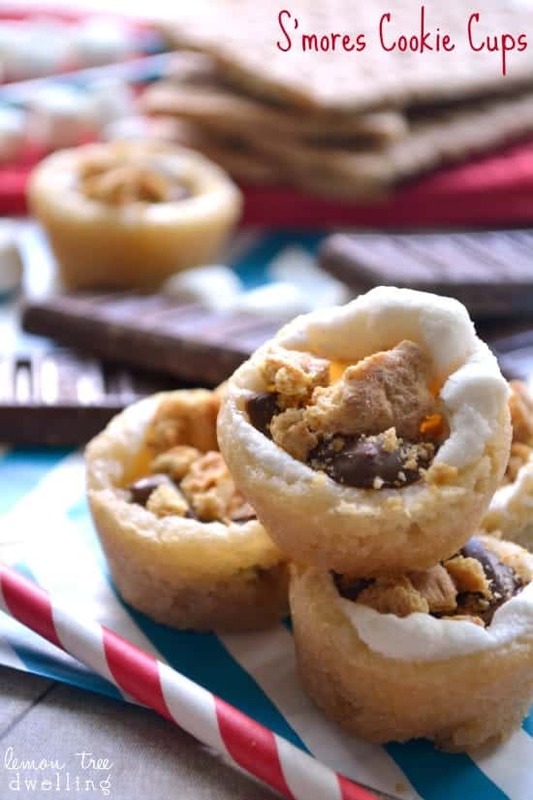 (Instead, I’ll probably be eating a Jello cup at the hospital…..) But the good news is these cookie cups are perfect, not just for Memorial Day, but for any day of summer! 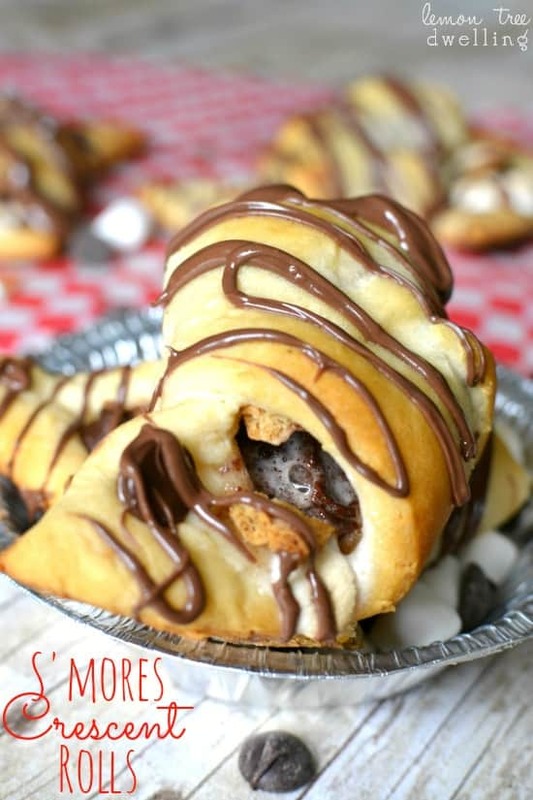 A tasty little s’mores treat….no campfire required! Generously grease 1 mini muffin tin. Roll sugar cookie dough into 1-inch balls and place each cookie dough ball in a muffin tin. 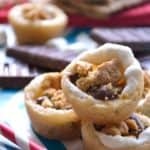 Remove from oven and top each cookie cup with 4 mini marshmallows and 1 small square of chocolate. Bake 4 minutes more; remove from oven and loosen edges of cookies with a knife. Cool 15 minutes in muffin tin before carefully removing. 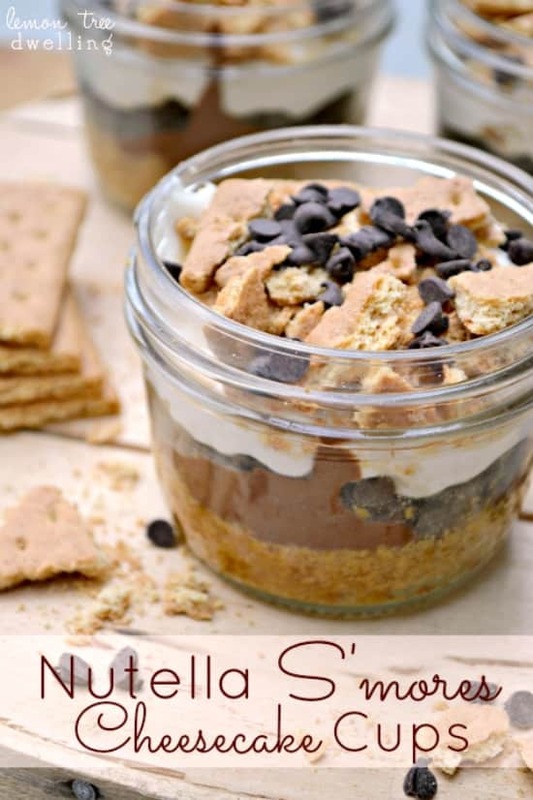 Be sure to check out a couple of my other favorite S’mores recipes! Those look so good! Happy early Memorial Day! I am not a big fan of S’mores. I hate the graham cracker breaking and the marshamllow seems to get in my hair every time. I love the flavor of S’mores however. This is the way to do it! All the flavor in a neat little cup! I’m ready for summer! I think a new baby is sweeter then these smores anyways 😉 thinking of you and your new little one to come friend! These are perfect for Memorial Day. They’re portable, easy to make and perfect for little hands. I’m so loving these Cathy!! Talk about bites of perfection! 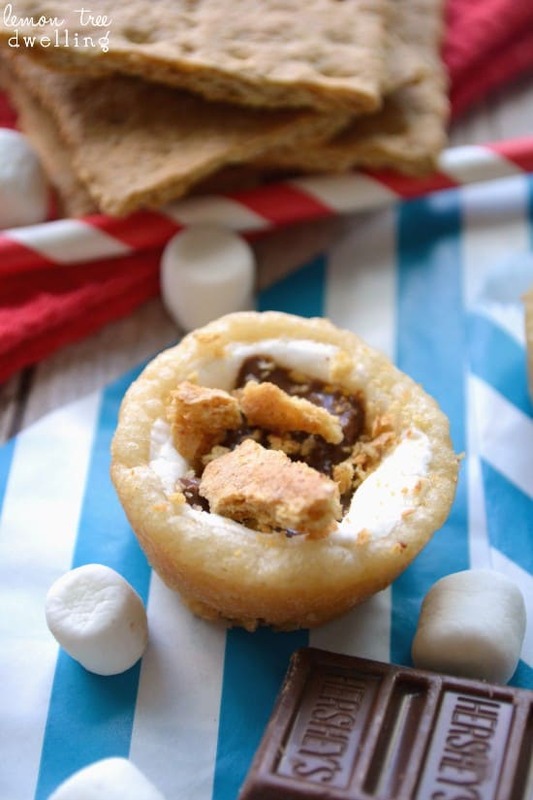 I love this fun twist on smores…so fun! I love anything related to chocolate and marshmallows! These are so perfect for summer! These are soooooo good! I made them for a BBQ tomorrow and I know they’re going to be a big hit. Definitely my go-to summer event recipe. It’s so easy to keep ingredients on hand in case something comes up. Thanks!! Hi Cathy, I love the simplicity of these cute little morsels. Thanks! 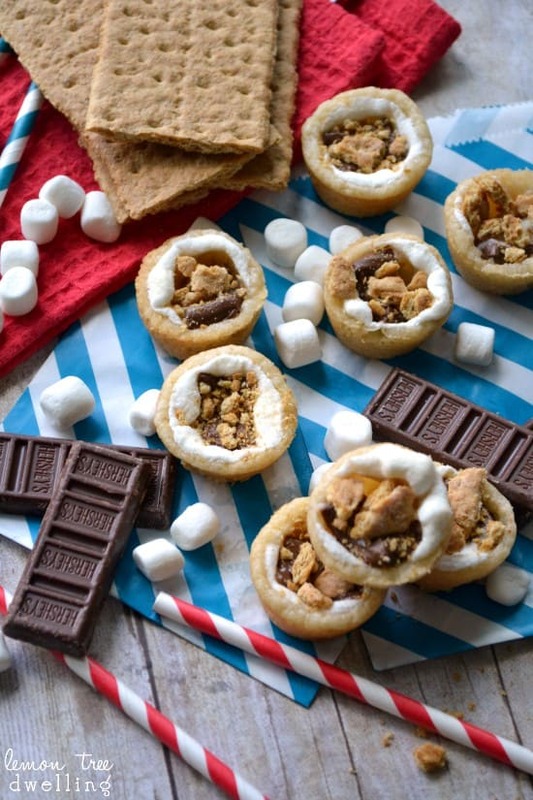 Cathy, I love these way to enjoy a s’more – it’s kind of like bringing the outside inside! Thanks for sharing the recipe – pinned! I love s’more anything Cathy! And the fact that these are a cute bite-size is even better!